There are so many things to do and reasons to visit Romania - but most tourists have no idea where to start! Most people come with low or no expectations to our country but soon realize that it’s a beautiful holiday destination that has much to offer. That’s why many plan on returning! So what is Romania known for? 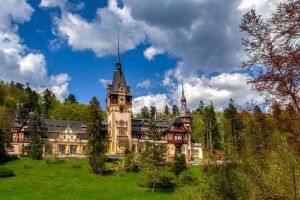 Let’s have a look at some of the most beautiful places and famous attractions in our country, going from Bucharest to Transylvania and traditional regions, covering world heritage sites, historical places and natural attractions. But besides the usual tourist spots, we’re also going to tell you where to go and experience authentic Romanian culture, traditional cuisine or unique things to do in our country. Of all the remarkable places to visit in Romania, Bran Castle remains the most popular with international tourists. Although this Transylvanian castle was famously home to Romania's Queen Mary, it's far better known for one fictional resident: Count Dracula. 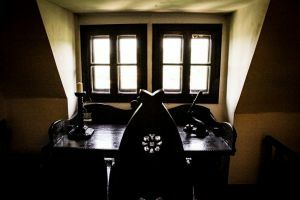 Honestly, nobody's sure if Dracula author Bram Stoker drew inspiration from Bran Castle… but that hasn't stopped tourists from dubbing it as "Dracula's Home." This is the most famous Romanian castle and the #1 tourist attraction in the country, so brace yourself for crowds of tourists and check our tours if you’re looking for a guide to give you a real tour. Dating back to the 13th century, Bran Castle was built to protect the nearby city of Brașov and the Carpathian crossing into Transylvania from foreign invaders. There are four floors and 57 rooms that tourists can explore. Each room is full of historic furniture, armor, and clothing. If Bran Castle wasn't enough for you, consider adding Peleș Castle to your list of places to visit in Romania. 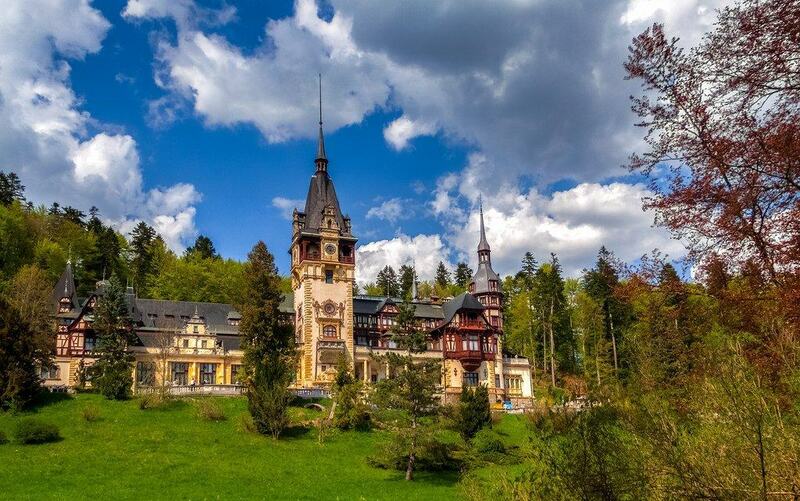 Situated at the base of the Carpathian Mountains in the charming resort of Sinaia (1h30 min drive from Bucharest), Peleș Castle was built in in the late 19th century to serve as summer residence for Romania's royal family. This castle has a distinctly German character with neo-Renaissance architecture and lovely stained glass windows. Considered an engineering masterpiece for its time with modern amenities such as floor heating, the entire castle is very beautiful and well preserved. There are 160 rooms in total for guests to explore over 2 floors, many of which have priceless works of art by painters as famous as Gustav Klimt. Visitors to Peleș Castle also get to enjoy thousands of fascinating artifacts in the castle's armory that date back to the 15th century. This is one of the best things to do in Romania if you’re curious about our history and how we went from being a monarchy to a communist dictatorship in WWII. If you’re planning to visit Bran Castle, a stop in Brașov's Old Town is a must. 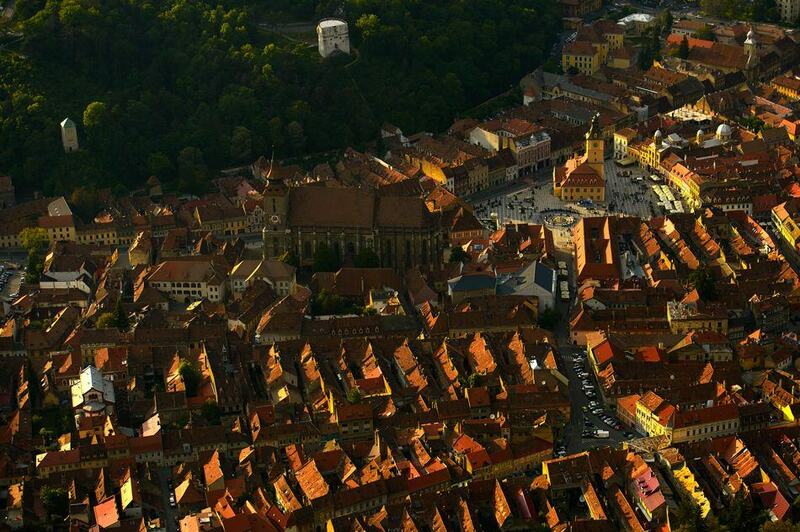 One of the most popular tourist cities in Romania, Brasov is famous for its charming medieval streets and architecture. The city’s iconic landmark is the Black Church, a great example of medieval German-Saxon architecture. This imposing Gothic church is unique in Romania (predominantly Orthodox) and, to this day, the Black Church serves as the largest place of worship for Romanian Lutherans. The Black Church is hard to miss on a stroll through Brașov’s Old Town. Towering and imposing, inside you'll find many impressive Romanian artifacts including a huge mechanical organ, a wide array of Oriental carpets, and an intricately carved pulpit dating back to the late 1600s. But there’s much more to do in Brașov, arguably one of the most charming medieval cities in Europe. Visiting nearby castles, going hiking or bear watching – it’s a great city to use as your base during your trip to Romania! 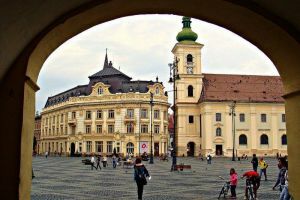 Another popular tourist attraction in Transylvania is Brukenthal National Museum located in the famous Romanian city of Sibiu. 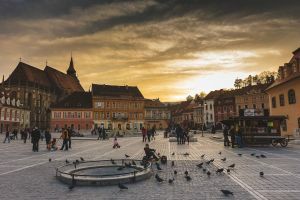 This medieval-styled city has an aristocratic air to it and a vibrant cultural scene, so Sibiu competes with Brasov for the ‘most beautiful city in Romania’ title. That’s why you should visit both and cast your vote – they are only 2 hours apart! The elegant building that serves as a museum today was originally the residence of an 18th century aristocrat of Saxon descent (and rich art collector) named Samuel von Brukenthal. Brukenthal opened the doors to his home in the early 1800s to share his art collection with the community. Today the Brukenthal National Museum is an important Romanian tourist attraction and cultural spot. The museum contains thousands of exceptional European paintings dating back to the 15th century. Besides its famed painting collection, visitors will also get to see plenty of rare artifacts such as musical instruments, rare books, and coins. The Brukenthal National Museum also contains a 16th century pharmacy, a natural history wing, and a wide array of hunting artifacts. If you’re passionate about European medieval history, the museum is one of best places to visit in Romania for that. But even for those who are not, this is a great place to see how people lived 200 years ago! Okay - time for something else! 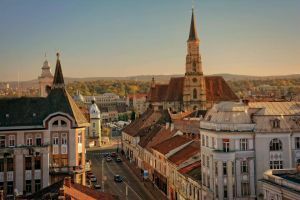 If you like going to festivals and would like to pair this with a quick city break, one of the best things you can do in Romania is visit the city of Cluj-Napoca, Transylvania’s unofficial capital. Whether you're into film, art, design or music, you're bound to find something on this city's calendar of events that will spark your interest! Film lovers shouldn’t miss Transylvania International Film Festival (TIFF) which started in 2002 and gained worldwide recognition for promoting independent movies and artists. Popular music festivals such as Untold and Electric Castle feature some of the hottest names in contemporary electronic music, but there’s also Jazz in the Park which brings 10 days of outdoor jazz concerts. Then there’s Zain Design Festival which attracts all types of designers to showcase their collections and skills through live workshops, exhibitions and, of course, cool parties. 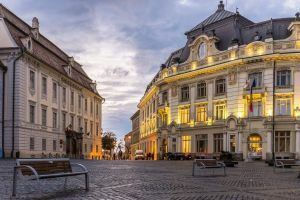 There are many other things you can do in Cluj-Napoca when there’s nothing going on: hiking in Apuseni Mountains, sightseeing in Transylvania or visiting the Maramures region - take your pick! If you love being in the great outdoors then you will love Romania! 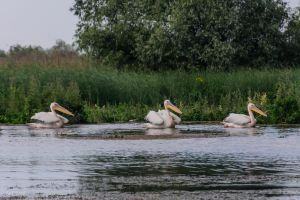 Among all the natural attractions and areas, the UNESCO-protected Danube Delta biosphere is one of a kind and among the best places to visit in Europe if you want to experience nature’s miracles. 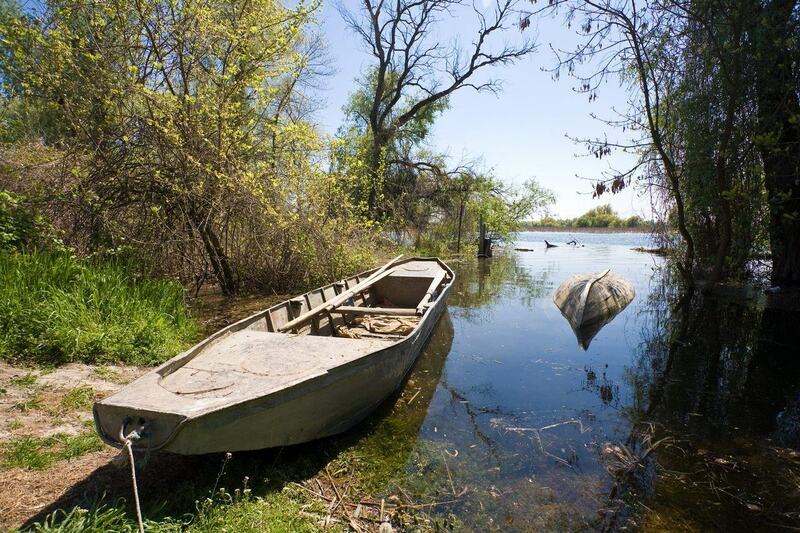 UNESCO awarded World Heritage status to this 3,000 sq. mile area for its untouched wild sceneries, marshland canals, traditional fishermen villages and impressive plant and animal biodiversity. 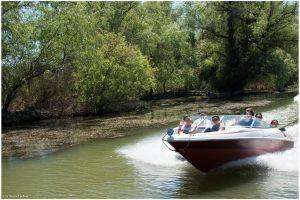 The Danube Delta is considered one of the largest and best preserved deltas in all of Europe and worldwide. In addition to its picturesque canals, numerous lakes and soft marshes, the Romanian delta is well-known for its extraordinary bird watching opportunities: well over 300 species of birds nest here every year. Photographers, wildlife enthusiasts or curious tourists flock between April - October to catch a glimpse of nature’s wonders. Hiring a local guide with a boat is highly recommended as the region is difficult to navigate without local knowledge. Regions along the Danube, especially the Delta, are known for their unique fish-based cuisine - locals will welcome you into their homes and cook delicious fish stews and dishes you won’t find anywhere else in Romania! Just South of the Danube Delta the alluring golden sand strips of the Black Sea begin. Few tourists think of Romania as a sun & beach destination but that changes as soon as they visit. The city of Constanța is your entry point and going for a walk on its seafront promenade will get you to the famous Casino building, now in a state of beautiful decay. 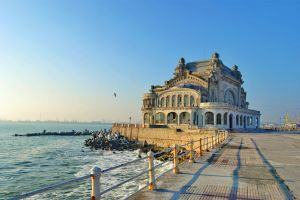 From Constanta you can quickly get to Mamaia, the most popular Romanian beach resort dubbed Saint Tropez of the East. An 8-km strip of land lined with accommodation and restaurants, including the best luxury resorts you can find by the Black Sea coast. During the day beachgoers are treated with cocktails and food served by their sunbeds. At night, fancy beach clubs attract people of all types looking to have some fun and more than a couple of drinks until the Sun starts rising from the waterline. The Black Sea and Danube Delta offer spectacular sunrise views! South of Constanța are family-friendly resorts such as Neptun, Jupiter, Eforie and the budget-friendly 1 Mai. Vama Veche is popular with crowds looking for an alternative, hippie and relaxed experience than the mainstream Mamaia scene. The best time to spend a couple of days by the Black Sea in Romania is between June – August when the water is warmest for bathing (16-20 Celsius). The season officially starts at 1 May and ends in September and the sea is worth admiring anytime. Just keep in mind that during summer weekends everyone from Bucharest goes ‘la mare’ to party so accommodation will be much harder to find. Let’s go back to the mountains! 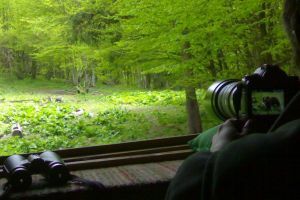 One of the best things you can do in Romania is wildlife watching, especially brown bears of which we have the largest population in Europe. As many areas in the Carpathians are still wild and untouched, they are home to many other wild animals such as deer, lynx and wolves. Europe’s last wilderness reserve – a rightfully earned title by our country! 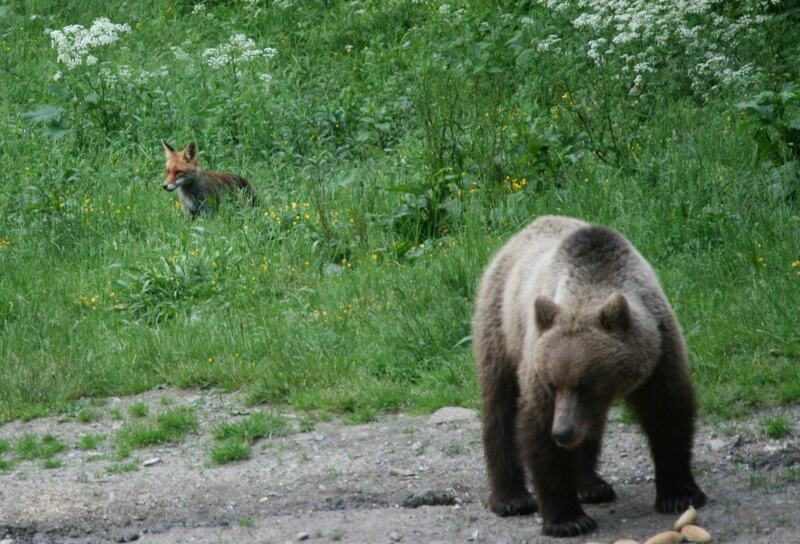 If you want to observe Romanian wildlife … in the wild, the best place for doing that is around Brasov. The stunning Piatra Craiului National Park is only an hour’s drive from the city and is a 19,000-acre park home to many animals, including the famous Romanian brown bears. There are also well over 250 butterfly species and over 100 bird species that can be admired. Choose a tour with one of our specialised wildlife guides and go on a hiking trip in Romania. In addition to wildlife tours, Piatra Craiului National Park is a great spot for those interested in hiking, outdoor adventures or simply to enjoy a day in nature. This park is famous for its distinctive limestone ridge measuring 24 km at almost 2,000 metres altitude. While exploring the Park, you’ll also be able to see firsthand the beautiful Romanian countryside: Magura, Moeciu, Pestera, Ciocanu or Sirnea are picturesque villages famous for having preserved their traditional way of life. 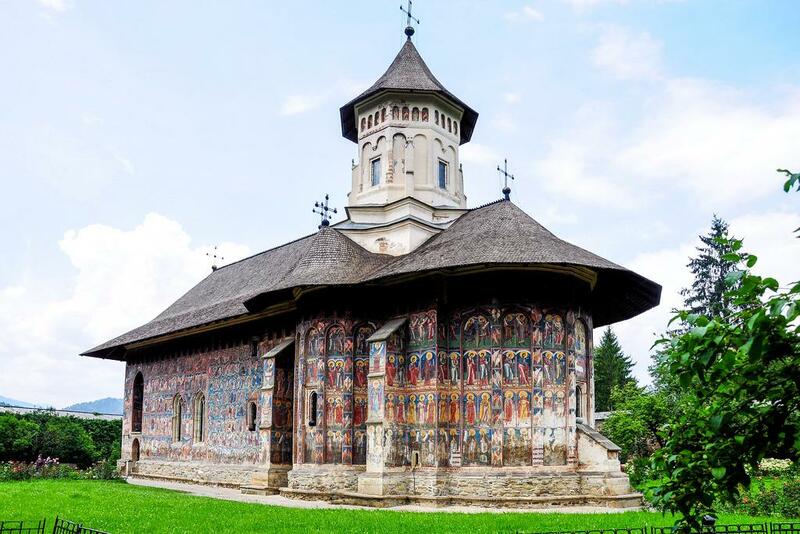 The Monasteries of Bucovina are probably Romania’s most important religious attractions. Built between the 15th and 16th centuries, these monasteries are known for their impressive frescoes that decorate their exterior walls. So vivid and unique these paintings are that UNESCO awarded them World Heritage status. There are six monasteries to visit: Voronet, Humor, Moldovita, Pataruti, Probota, Suceava, and Sucevita. All of them are located in small villages in the Northern region known as Bucovina, hence the name Painted Monasteries of Bucovina. Each of the monasteries’ frescoes uses different colours to depict saints, major Biblical scenes and local legends. The quality and style of these paintings is truly impressive considering how old they are and that only minor works were carried out to preserve them. Voronet is the most famous among the painted monasteries for its unique blue nuance used to depict Judgement Day. Please keep in mind that these monasteries are active religious attractions served by monks and nuns who live on site. Romanians are very religious people so visiting these sights require that you be respectful of local customs and visiting rules. In other words, selfies and selfie sticks are not a good idea here. Romania’s natural beauty is best enjoyed through slow travel. Hiking or going by car may be the first options that come to mind, but there’s a better alternative: old steam trains moving at 30 km/h through incredibly picturesque areas! The Mocanita steam train on Vaser Valley in Maramures region is probably the most famous. A 6-hour long ride (2-way with multiple stops) through valleys, hills and woodlands will make you appreciate nature’s simple beauty - best enjoyed slow, of course! This narrow railway was originally used for forest exploitation activities and the Mocanita (name of the train) is the only one capable of navigating it. 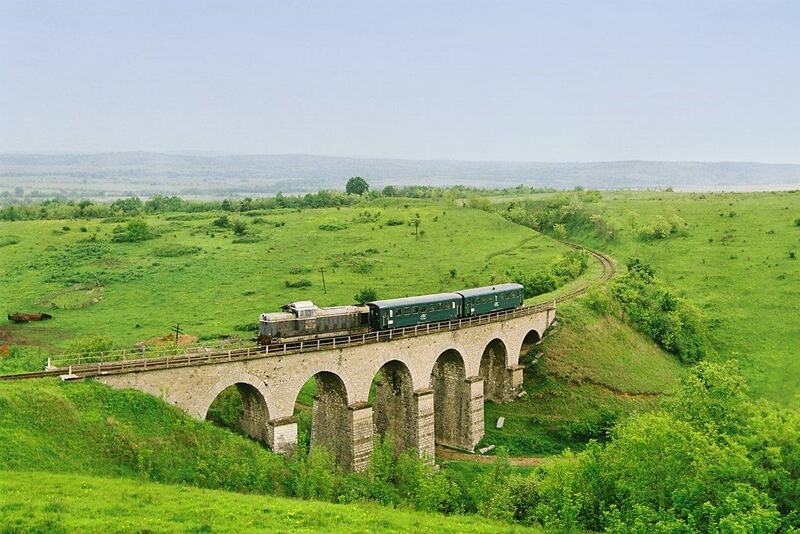 A similar train route can be found in the region of Bucovina and is called Hutulca. But my favourite train ride is perhaps lesser known – although more beautiful – the Oravita-Anina route in the Banat region, South of Timisoara. The Semering (name of the train) will take you on a route where the fairy-tale like scenery of 1,200m mountains and open valleys is dotted with traditional villages. The open and picturesque sceneries here mesmerize you in such a way that the 3-hour ride will pass quickly! Sighișoara is yet another important historic place to visit in Transylvania. The most culturally significant and popular tourist attraction is its historic centre, also known as Sighisoara Citadel which was given UNESCO status in 1999. Situated on a small hill overlooking the plains of Transylvania, this fortified town was built in the 12th century by German Saxon settlers and is one of the best-preserved medieval sights in Europe. Sighișoara is the birthplace of Vlad Tepes or Vlad the Impaler (the inspiration for Dracula character) and his childhood home stands out in bright yellow. There is much history to be learned here but the best thing to do in Sighisoara is to just go for a walk on cobbled streets, admire medieval architecture and imagine how people lived 500 years ago! One of the best times to visit is during Summer when the famous Sighișoara Medieval Festival takes place. This festival celebrates authentic medieval culture and includes traditional dances, sword-fighting, crafts and products displays and, of course, tasty traditional Romanian food! 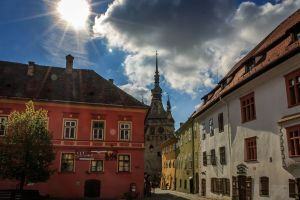 Sighisoara can be visited on a day trip from Cluj, Sibiu or Brasov. When people think of reasons to visit Romania they tend to think of castles, natural scenery, and monasteries. While these attractions are undeniably awesome, one of the best things to do in Romania that people don’t know about is to try our traditional dishes. 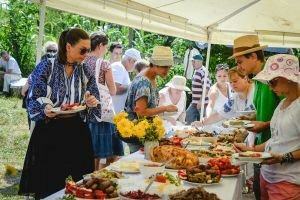 Romanian food will surprise you: a reflection of our agrarian roots and village life, our traditional dishes are filling, rich in taste and delicious for both meat-lovers as well as vegetarians. The best thing about our food is that it still uses home-grown, organic, hand-to-mouth vegetables and animal products, unlike the bland, industrialized Western food. Want to know the real taste of a tomato? Come visit Romania! Authentic Romanian dishes you should try include sarmale, mici, any ciorba (sour vegetable broth), mamaliga (polenta) with fresh cheese and sour cream or stuffed peppers. Appetizers such as eggplant salad, zacusca or baked beans paste, usually served alongside fresh vegetables and a variety of cheese and cured meats might already be enough for you! And leave room for desert: papanasi, fruit pies, pancakes and pastries stuffed with sweet cheese, nuts or fruit jams! One of the more unusual things to do in Romania is to visit a cemetery that has a happy and funny view on death: the Merry Cemetery in the village of Săpânța, Maramures region. Unlike the usual sombre cemeteries, the Merry Cemetery is filled with colourful oak panels where funny poetry tells the story of the deceased. Started in the 1960s, the Merry Cemetery is unique in Romania and in Europe for its unorthodox approach, although located in one of the most religious parts of Romania. There’s an interesting reason for this, of course, and visiting the local artisan that makes the crosses is a must. Though the cemetery receives increasing number of tourists, you shouldn’t forget that well, you’re in a cemetery! 40 minutes South of Cluj-Napoca in the city of Turda is one the most popular and interesting tourist attractions in Romania: a salt mine dating from Roman times that now houses an insane amusement park! After you take the ride leading underground (around 120 metres!) you’ll find a unique place with huge caverns and corridors carved in salt, where carefully-placed lights create a magical feeling! 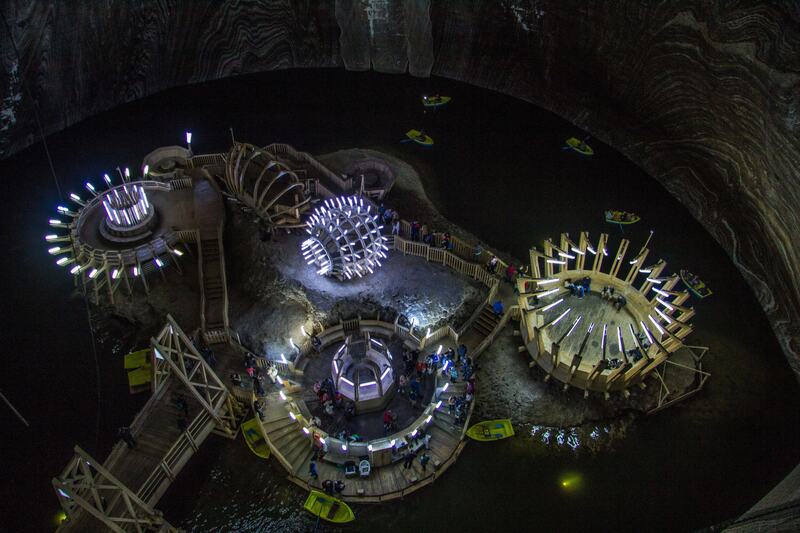 In addition to its famed Ferris wheel, this underground amusement park has a bowling alley, a golf course and even an underground lake where you can rent a boat! 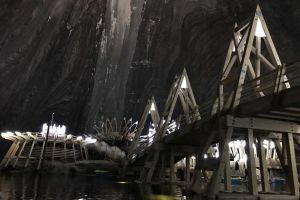 If this wasn’t enough to convince you to visit Turda Salt Mine, you should know that breathing salty air is good for your lungs and prescribed as treatment for people with respiratory issues. So spending 3 hours here will be the best and healthiest things you can do in Romania! When tourists think of places to visit in Romania, they tend to stop at the country's capital: Bucharest. As the political and economic heart of Romania, Bucharest is a dynamic city with dozens of cultural treasures to explore. 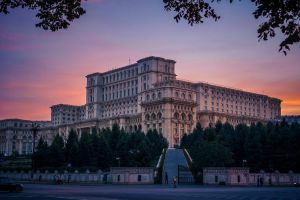 If you only have time to visit one of Bucharest’s tourist attractions then a stop at the monumental Palace of Parliament, commonly referred to as Ceaușescu’s Palace, is a must. Probably the most ambitious – and infamous – material legacy of communist leader Nicolae Ceaușescu, this building now houses the Romania’s democratically elected Parliament. 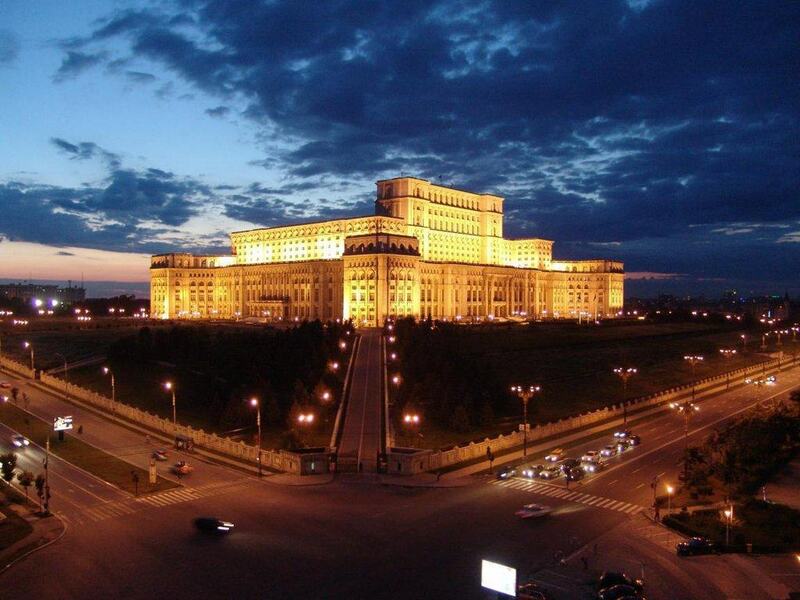 With over 1,000 rooms, 4,500 chandeliers, and 12 stories high, the only building larger than Bucharest's Parliament is the US Pentagon! Communist megalomania at its best, the only way you can visit this building is through a guided tour booked ahead. 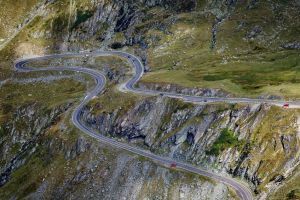 The ultimate driving – and sightseeing – experience in Romania is Transfăgărășan Highway. 3 hours’ drive from Bucharest or 1h30 from Sibiu, this 150 km road across Fagaras Mountains was built during communist years with approx. 6,000 tons of dynamite and much, much effort. It’s one of the main reasons people visit Romania thanks to an episode of the popular BBC show Top Gear which named it the best road in the world. Driving enthusiasts will absolutely adore the many twists and turns of this incredible drive! At its highest point at Balea Lake the road reaches 2,200m altitude and offers breathtaking views of Transylvania’s plains. Keep in mind that this road is open for driving only between June-October. Outside this period it can be visited only coming from Sibiu and using a cable car, if weather permits. Another thrilling thing to do in Romania is experience Bucharest's nightlife scene. The trendiest area with today's youth is (ironically) the Old Town area. 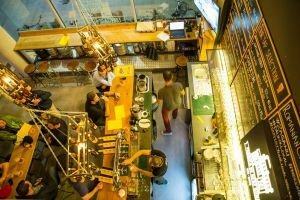 On Lipscani Street you will see both locals and tourists hopping around the best bars in Bucharest. No wonder more and more stag and bachelorette groups from all over Europe come here to party! For a fancy, almost luxury clubbing experience head to the Northern part of Bucharest. In clubs such as Fratelli, Gaia or around the Herestrau Lake, you’d better dress well to not feel out of place. A tip from us: nightlife in Bucharest starts after 11-12 pm. The Sphinx is a mysterious natural rock formation located high up in the Bucegi Mountains, which are accessible via cable car from Busteni resort. Local legends claim that the rock represents a god who was worshiped long ago by the Dacians, our ancestors. There are also stories that link the rock to aliens! In any case, many believe that the location possesses a special energy and so there are always many visitors. The Romanian Sphinx is also the subject of folklore and conspiracy theories that make it incredibly intriguing. So, if you are into paranormal activity or just want to see what all the fuss is about, this attraction should be on your list of things to do in Romania. 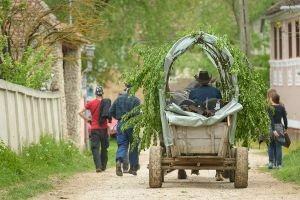 You haven’t experienced authentic Romanian culture until you spend a couple of days in a Romanian village. 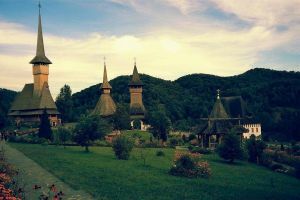 One of the reasons many people visit Romania is to see village life in traditional regions such as Transylvania, Maramures, Bucovina, Apuseni Mountains or Brasov area. It’s like stepping back in time: shepherds greet you, roosters wake you up, homegrown vegetables and homemade delicious meals, transportation via horse carts and – best of all – a slow, peaceful life. Rural regions of Romania may look poor or underdeveloped but in fact you will see that locals here live a better life. Untouched by modern society’s needs, consumerism or industrialization, their way of life is the purest example of resourcefulness and enjoying the simple things. Local folklore, crafts and traditions are very well preserved so it’s one of the best places to visit in Romania if you’re interested in this. Let’s close the list with one of the most unusual places to visit in Romania: Hoia Baciu forest near Cluj-Napoca. The forest was named after a shepherd went missing there with his whole flock of sheep. In 1968 the forest gained further attention when a military technician claimed to have seen a UFO flying overhead. And there are plenty of other stories and myths in local folklore. 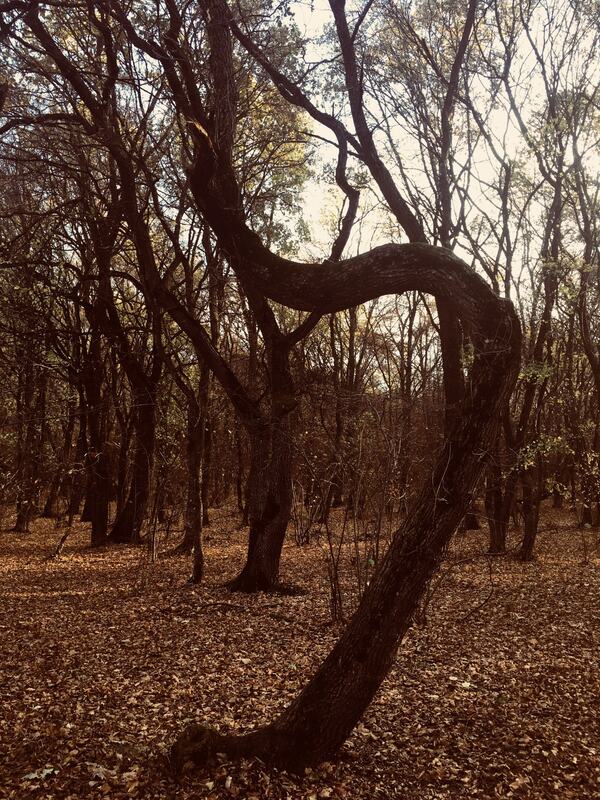 What makes this place so creepy is the very strange vegetation and unusual shape of trees. One of the strangest spots is a clearing, a round-shaped patch of land in the middle of the forest where not a single ounce of vegetation grows. Many locals are truly afraid to enter and some said strange spirits can be heard at night. Hence the ‘haunted forest of Romania’ title. 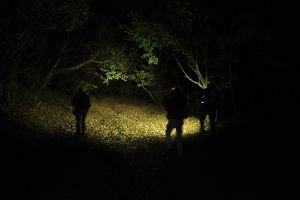 Go on a tour to Hoia Baciu forest with our guide-partner who will tell you the stories and legends of this forest and give you special measurement equipment for paranormal activity. Whether you’re superstitious or not, this will definitely be an interesting thing to do in Romania! Whoa, that’s a long list! And we haven’t covered everything there is to visit in our country! But I think this should be enough to get you started with planning your trip to Romania. Check all our tours for more inspiration and if you need help with your itinerary send us a message – happy to help!